This week’s episode covers a lot of historic moments in the midst of a very dynamic 2017 season. There’s Tour of the Gila in the US and Omloop van Borsele to cover off, along with the first ever women’s edition of Liege-Bastogne-Liege in all it’s conTEXT and glory. There’s some interesting articles from during the week including the latest edition of Ella’s SHE-cret Pro which seems to have stirred up a bit of controversy. In addition to which we take the time to appropriately thank the UCI for their help with making La Course more La Course-y than ever before. Videos, photos and more from the first ever women’s Liège-Bastogne-Liège. 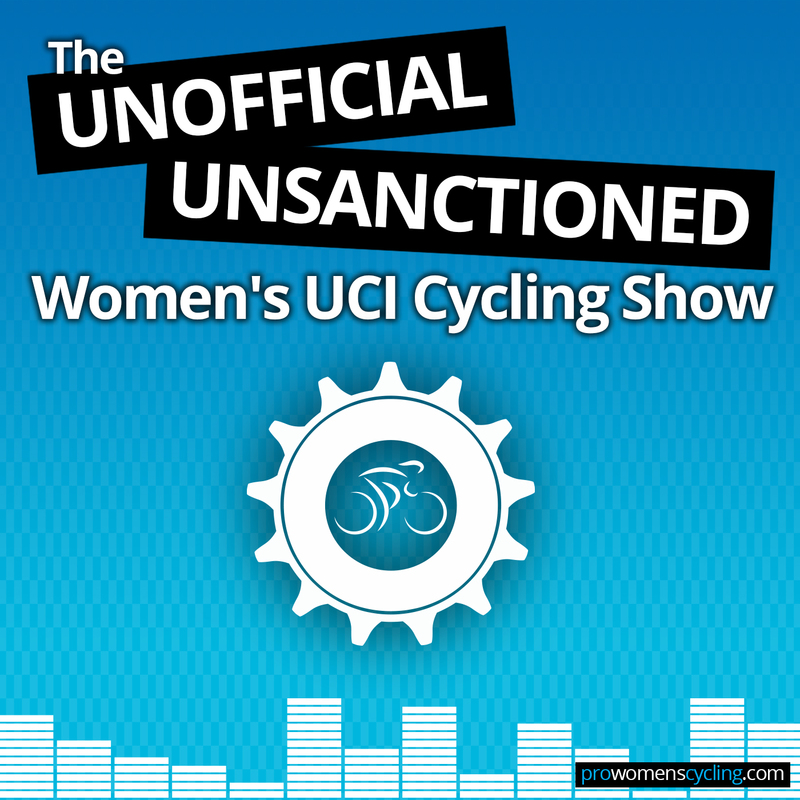 Can you believe it’s been four years since we started this crazy adventure of doing a podcast about women’s cycling? Sarah and Dan take a moment to celebrate how far women’s cycling has come in that time and to reminisce a little about how they got here. From that we launch fully into catching up on the racing from the Tour of ChongMing Island, Vuelta Feminin Costa Rica, Tour of the Gila, BMX World Cup, para-cycling, the latest from the Lotto Cycling Cup and more. It’s been an amazing week to witness the growth and globalisation of cycling, and we’re putting it all down to the birthday of the podcast. To stream the behind the scenes-iest podcast available right now, click here. Subscribe for free in the iTunes store here OR via our RSS feed here. Clara was working on the Tour of the Gila, where she was doing live twitter updating amongst other things. She also works for the Tour Tracker, most recently at the Tour of California and the USA National Championships, and you should install their apps, they’re great. She’ll be with them at the Tour of Utah, so keep an eye out for that. Sarah was working on the Friends Life Women’s Tour, running the live updates on the website and on twitter. You can listen to her talk about the race on that week’s podcast, and see her photos from the Edinburgh round of the Tour Series on her flickr.